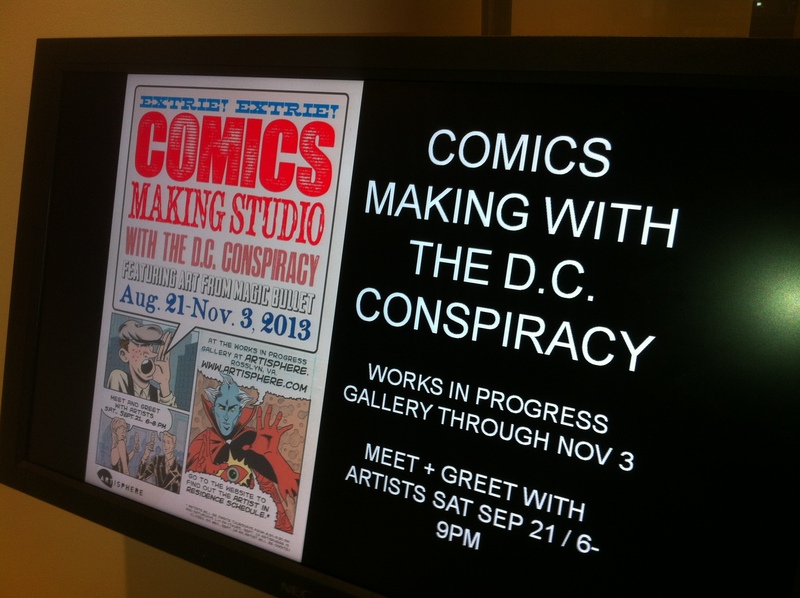 On Saturday, September 21 I attended an artists meet & greet for The Comics Making Workshop and Exhibition of the D.C. 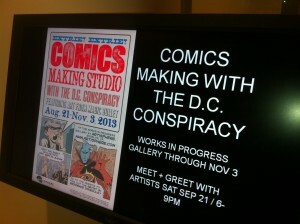 Conspiracy at Artisphere in Arlington, VA. 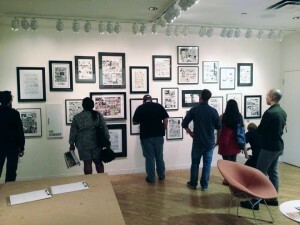 The Conspiracy is a collective of artists in the Washington, DC area. This network of local creators includes a variety of writers and illustrators who meet regularly to inspire and encourage one another as well as to promote their work. The group has sponsored such events as The Annual D.C. Counter Culture Festival and also publishes the popular Magic Bullet a free newspaper featuring the comics work of various conspirators. I’ve attended the Counter Culture Festival and run into Conspiracy members at SPX, The Baltimore Comic-Con, Awesome Con DC and a number of other events. 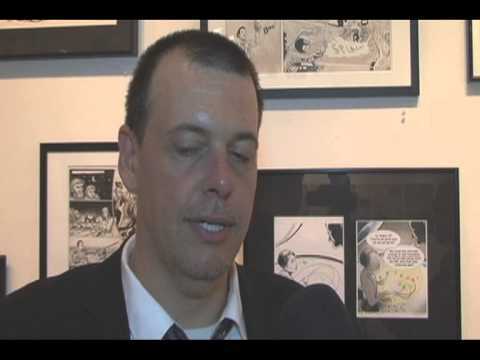 Conspiracy members, Matt Dembicki, Evan Keeling, Eric Gordon and Jacob Warrenfeltz spoke on camera about the exhibition, the creation of the group and its activities in this video feature. 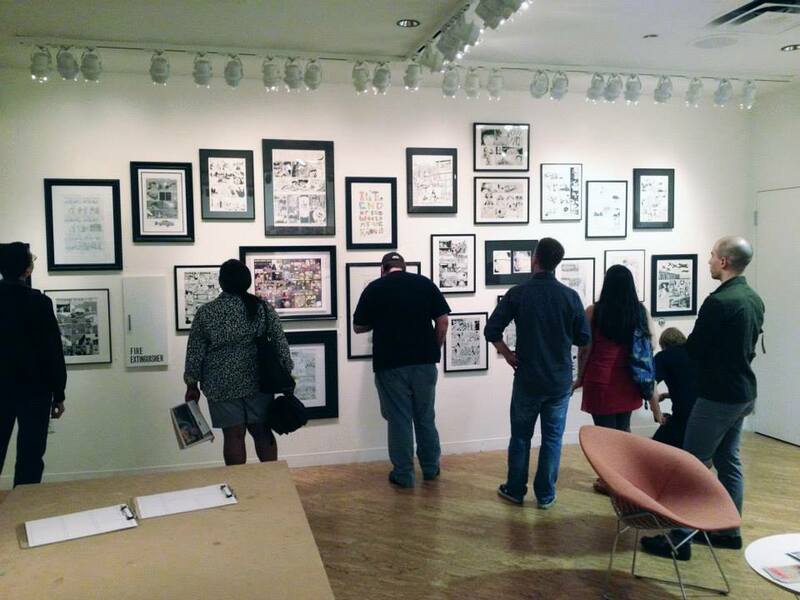 The exhibit runs through Sunday, November 3.